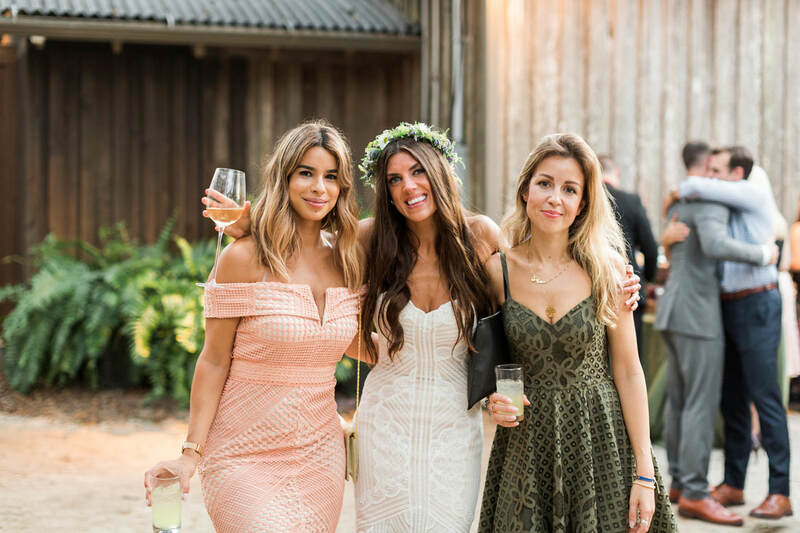 We've been in business since 2014 and have already catered -- hundreds -- of events across the Lowcountry, from intimate weddings of 33 to numerous large corporate events of 400 to 2,500, at all of Charleston's most prestigious venues. We've even catered a private party for 2,500 for Charleston's own Darius Rucker. 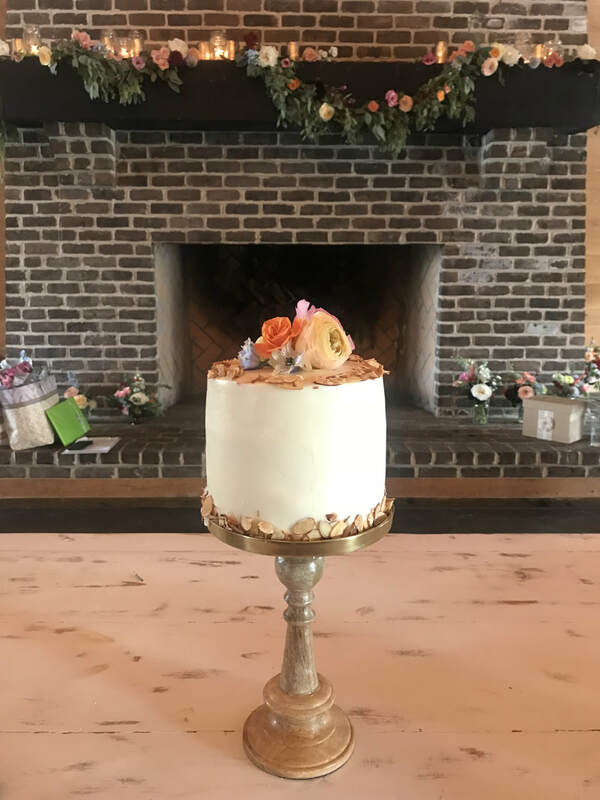 There's a reason Charleston's Sweet Lulu's Bakery & Cocktail Caravan Bar has been featured by Brides, Martha Stewart Weddings, The Cooking Channel's Unique Sweets, Huffington Post, Forbes and a 2018 & 2017 Wedding Wire Couple's Choice Award Winner, our wedding cakes & craft cocktails are really that tasty. 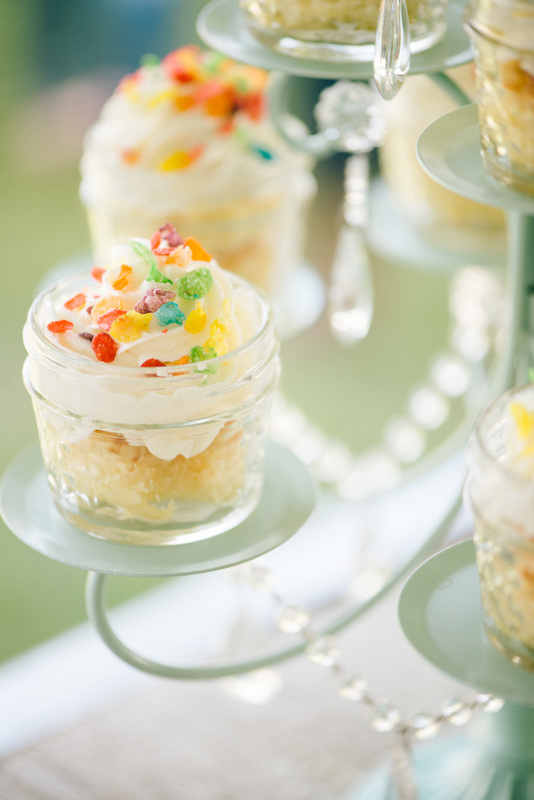 A wedding reception is probably the most expensive party you'll ever throw. 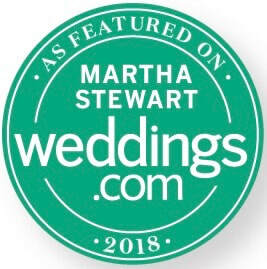 That's why we offer several packages to accommodate any budget. 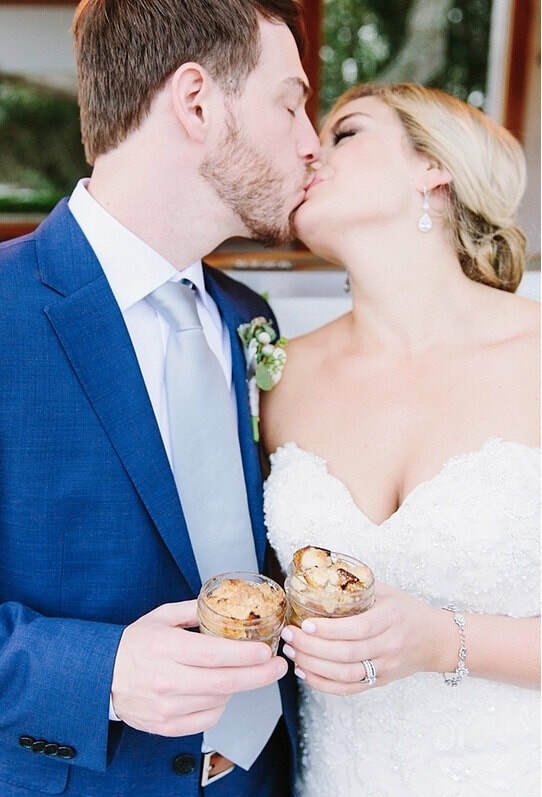 FACT: We're welcome at many Charleston wedding venues that don't permit traditional food trucks. 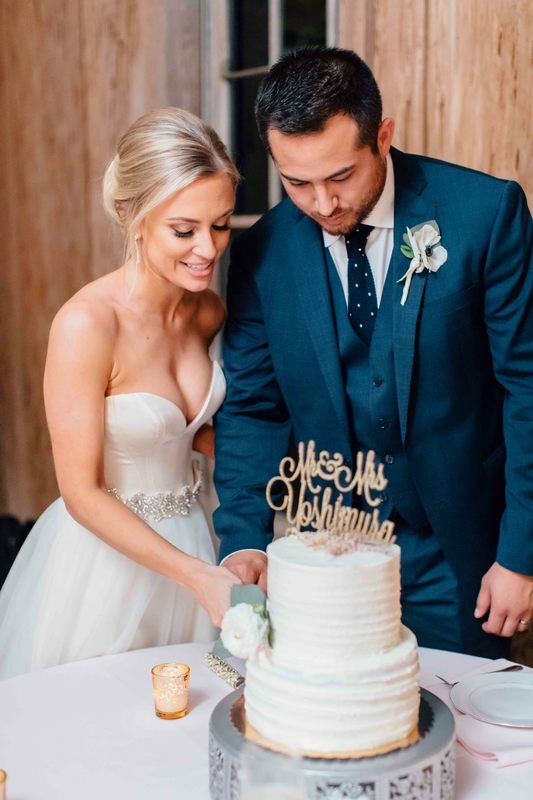 Any bride can have a traditional wedding cake or bartender service. But as Charleston's only mason jar mobile bakery and mobile speakeasy, not every Lowcountry wedding can have our unique and one-of-its kind dessert and cocktail bar. Gone is the traditional tiered mini-cupcake display on a wood farm table and adios to bartenders standing behind what appears to be the same rustic wood bar. Instead, we've replaced the traditional dessert table and bar with unique and one-of-its kind custom built, snow white, vintage caravans named Mini Pearl and Buck. Founded by a girl with a vision, armed with some of her great grandma’s stupendous recipes, Mini Pearl and Buck are so adorable, you’d actually enjoy a long weekend glamping anywhere with them. 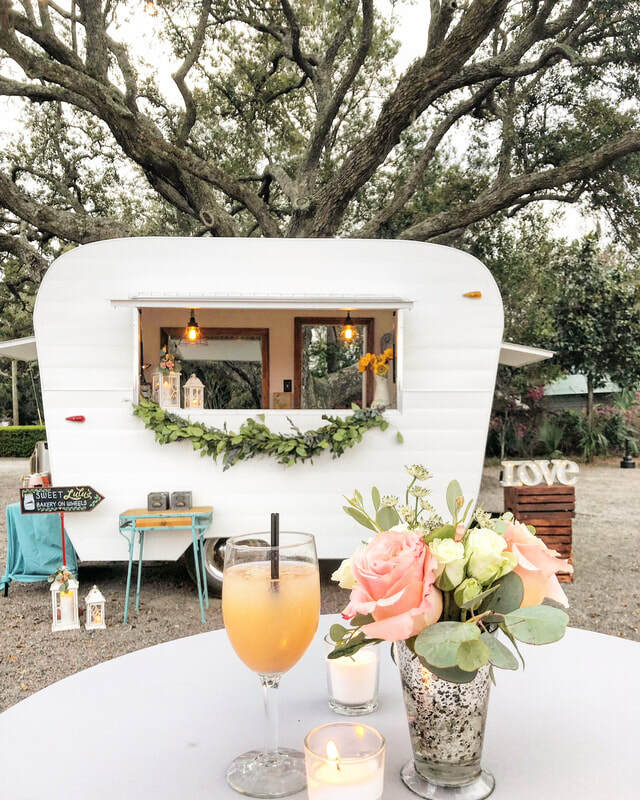 But hosting an oh so chic outdoor party … is where our caravans shine. 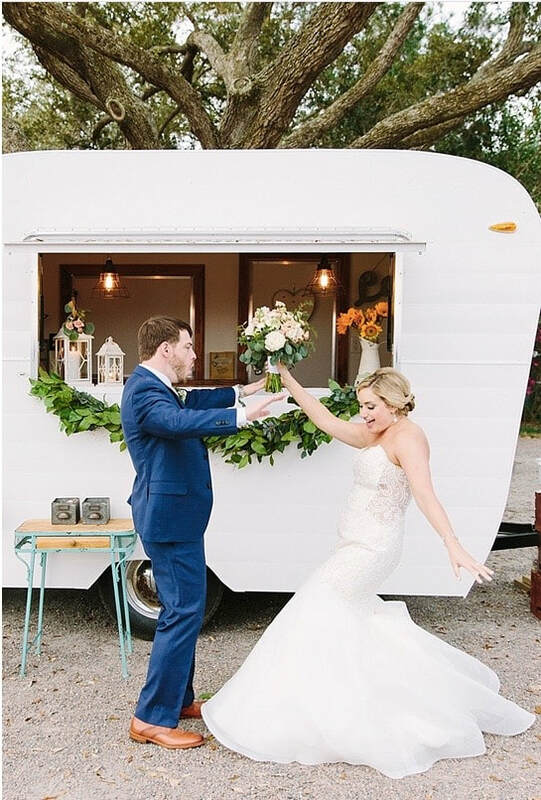 They're hands-down the cutest food trucks in Charleston and the perfect wedding guest. TIP: Late Night Wedding Snacks like our Bourbon Doughnuts & Moonshine Pop Tarts are da bomb diggity domb.